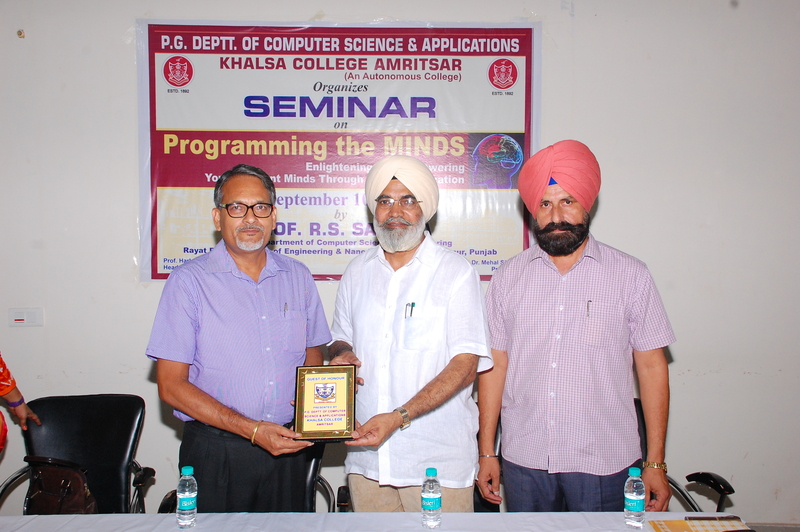 P.G Department of Computer Science and Applications of Khalsa College ,Amritsar organized seminar on Programming the Minds. 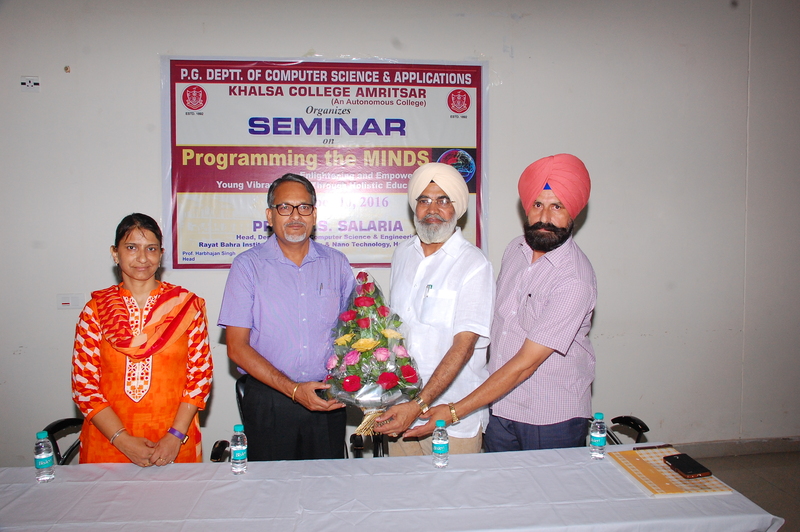 Prof. R.S Salaria Head, Department of Computer science & Engineering, Rayat Bahra Institute of Engineering and Nanotechnology, Hoshiarpur delivered lecture at this event regarding “Programming the Minds through Holistic Education”. He said that main goal of our education system should be to produce thinkers, innovators and above all good human beings. 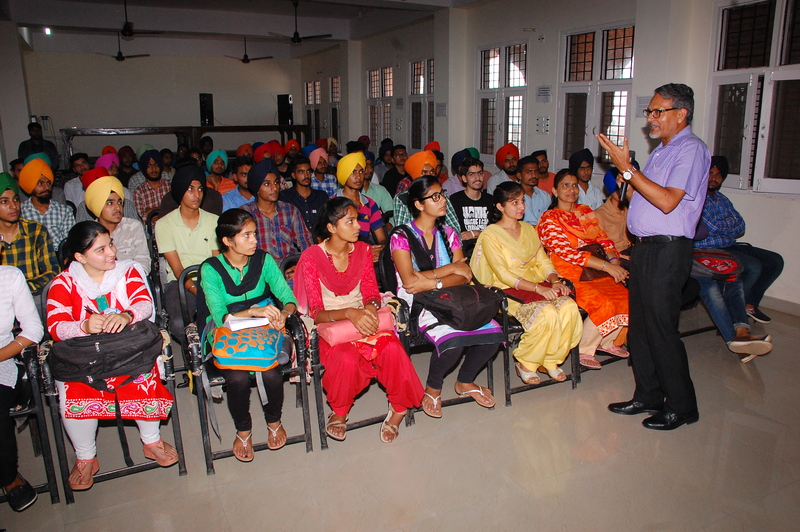 He guided the students to become competent professionals and responsible citizens. We should try to remove the social evils like dowry system, female foeticide etc from the society. On this event students took the pledge that they will not indulge in drugs. 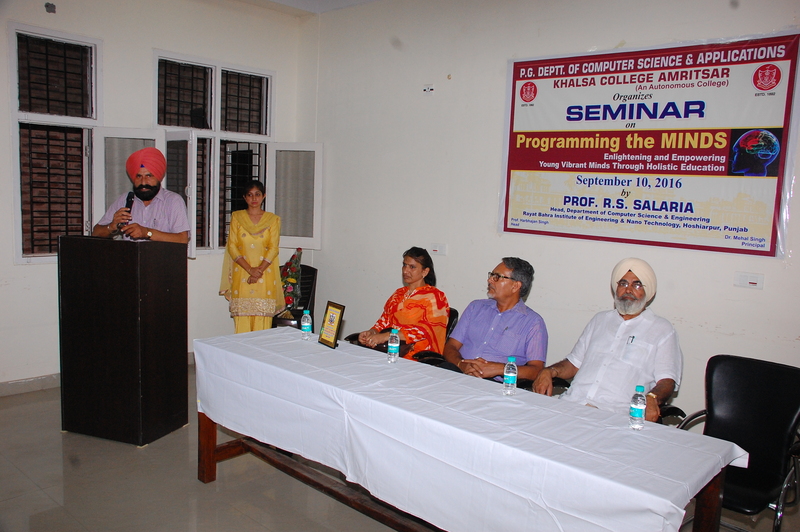 Principal Dr Mehal Singh, Khalsa College Amritsar welcomed Prof. R.S. Salaria. He praised about the lecture and said that this is the need of the hour to organize such lectures for the students. They should try to follow the guidelines provided by Dr. R.S.Salaria in their lectures. 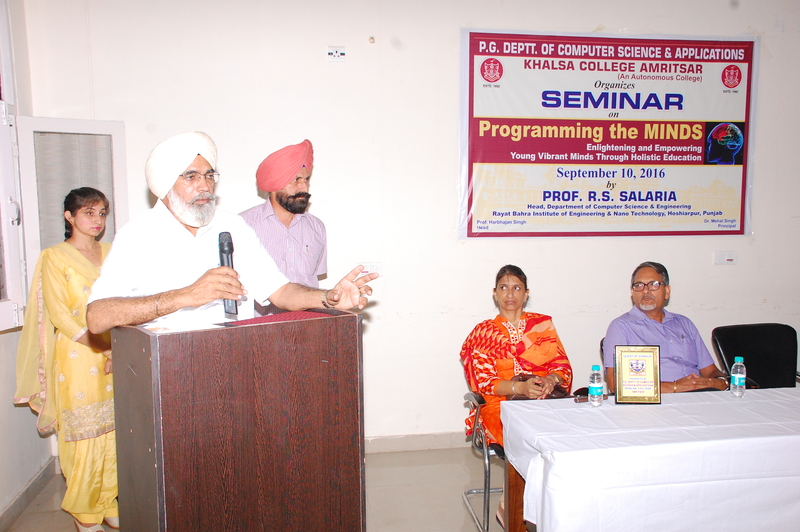 During this event Prof. Harbhajan Singh Randhawa, Head, Computer Science department gave vote of thanks. During this event other staff members were also present.